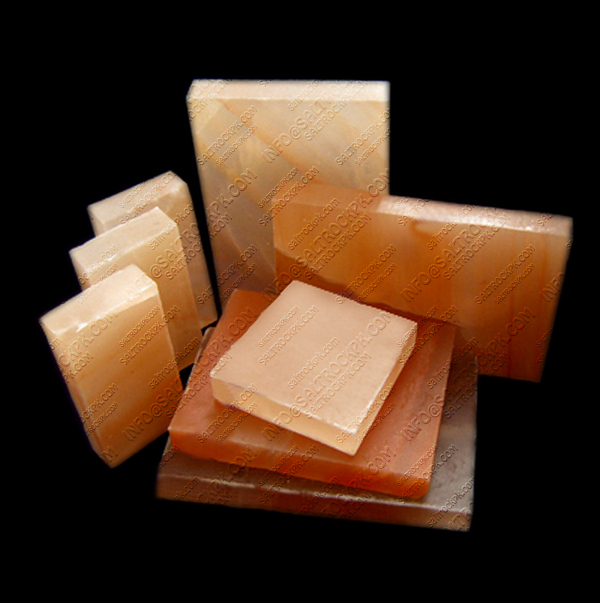 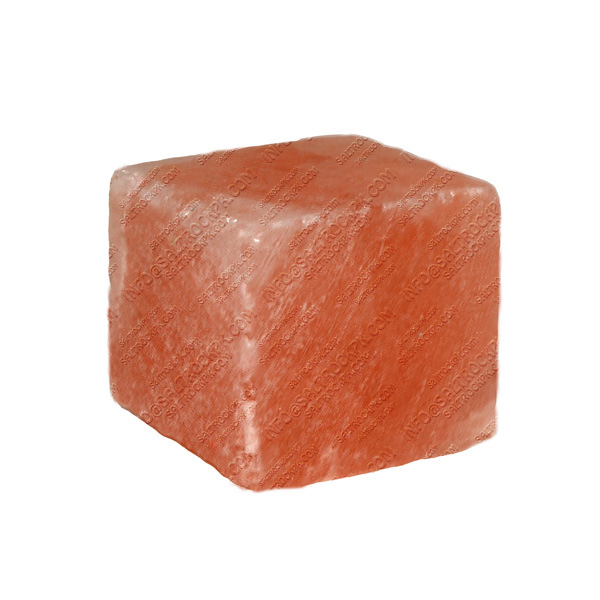 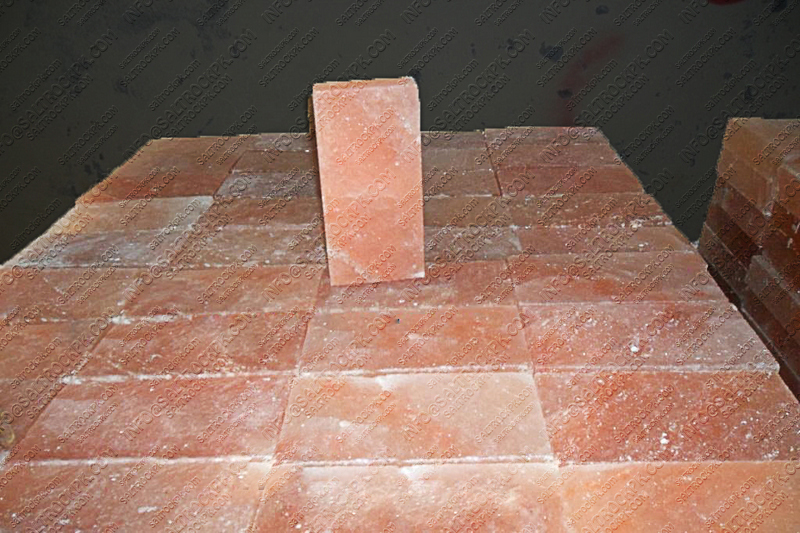 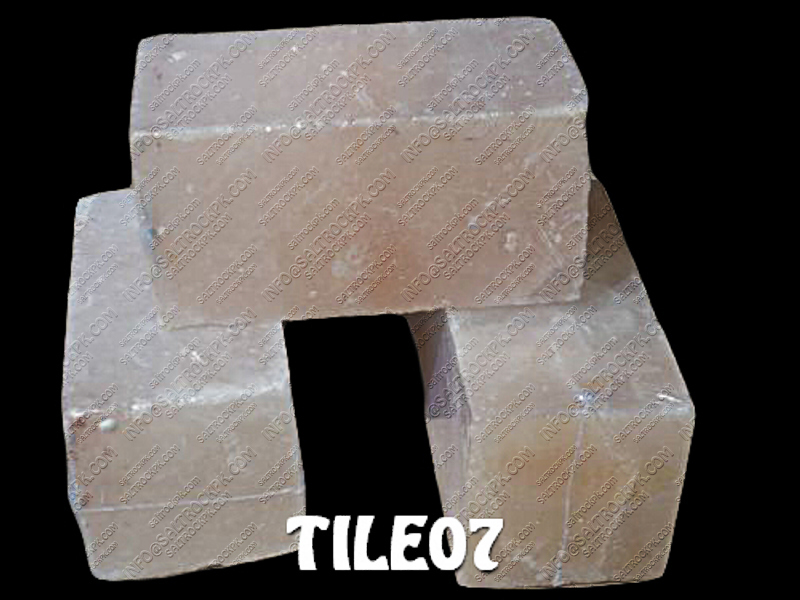 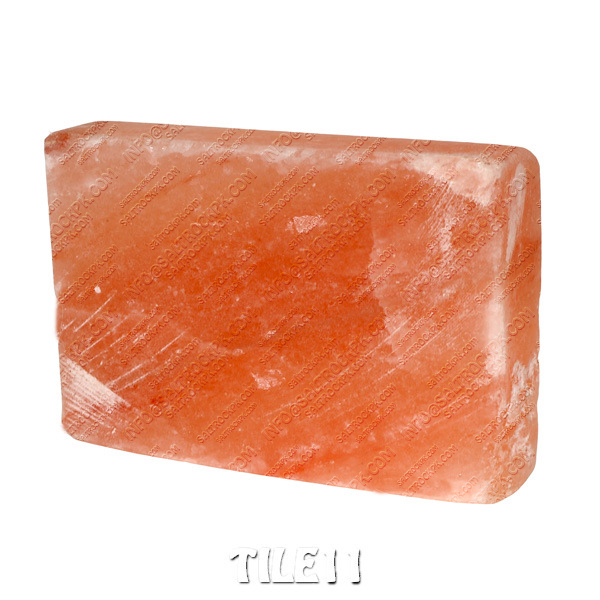 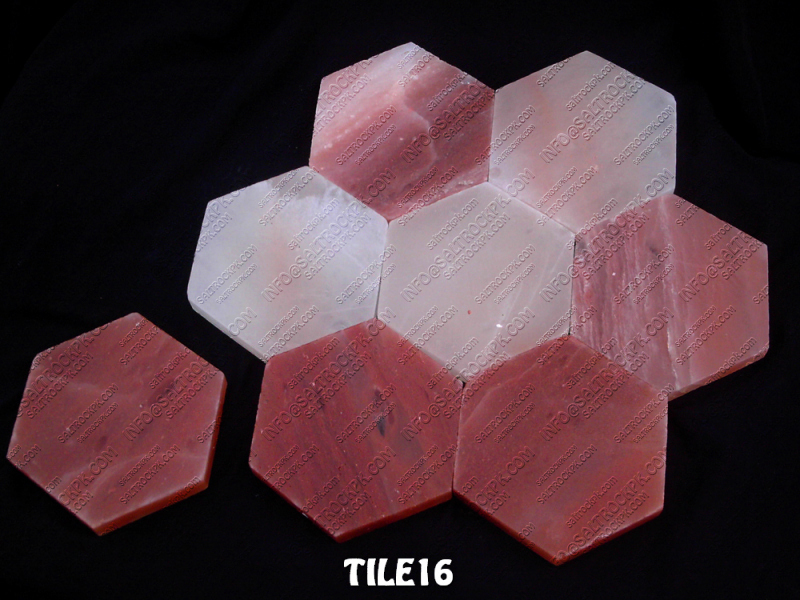 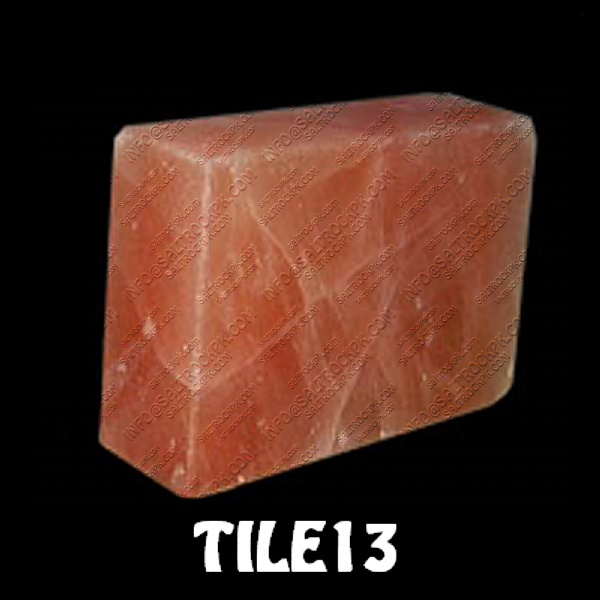 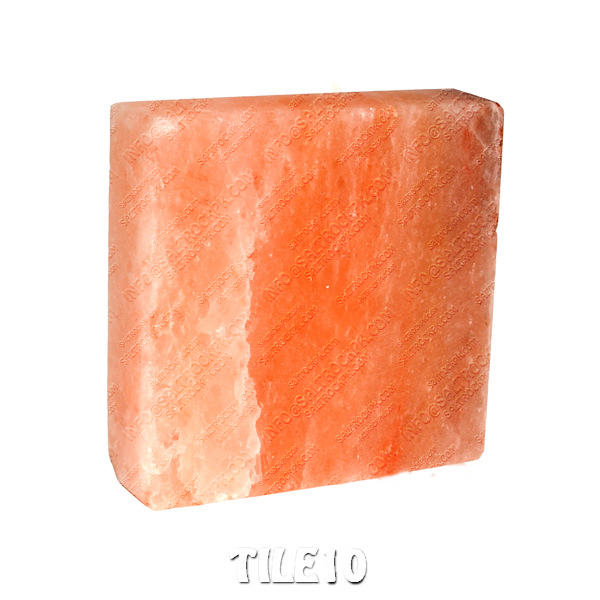 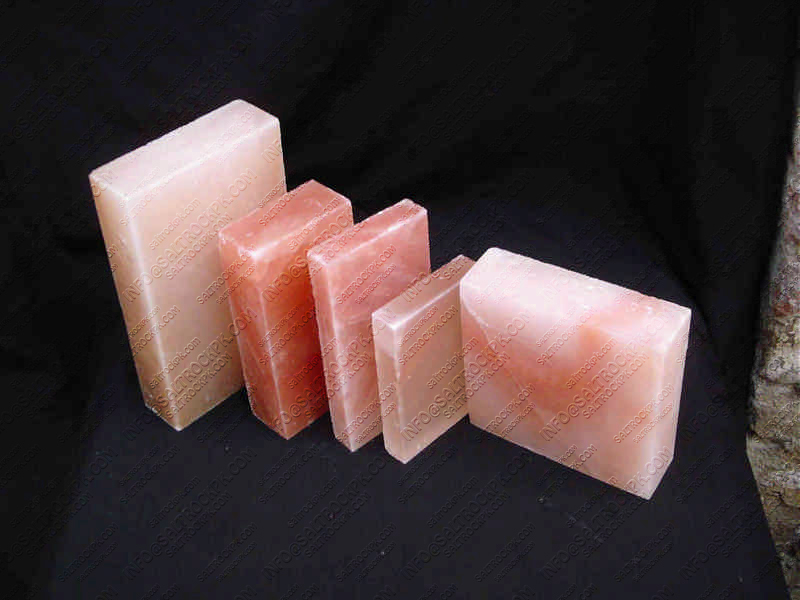 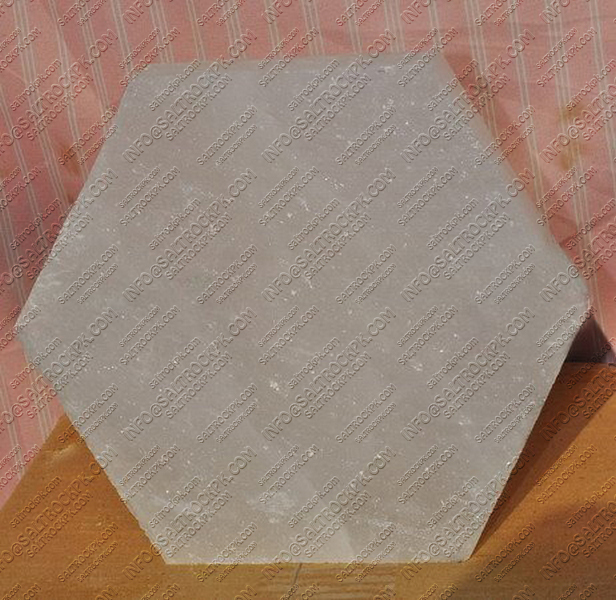 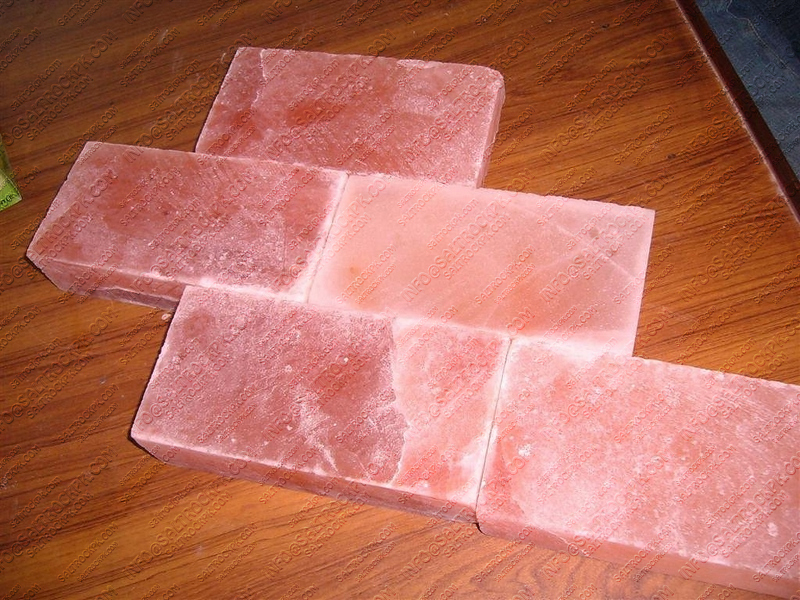 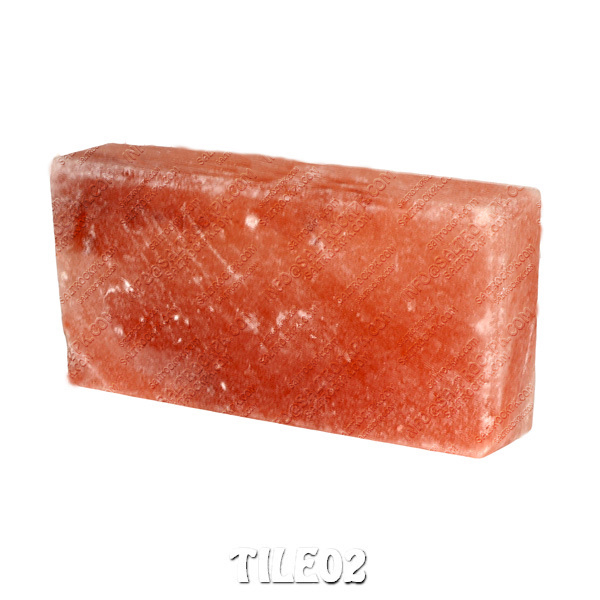 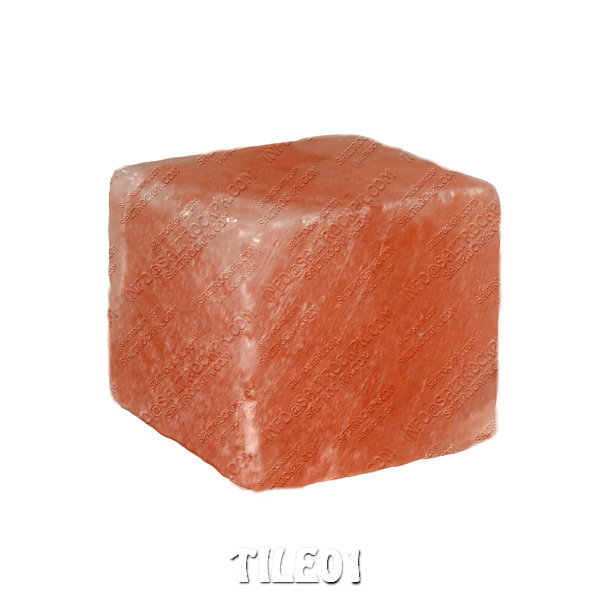 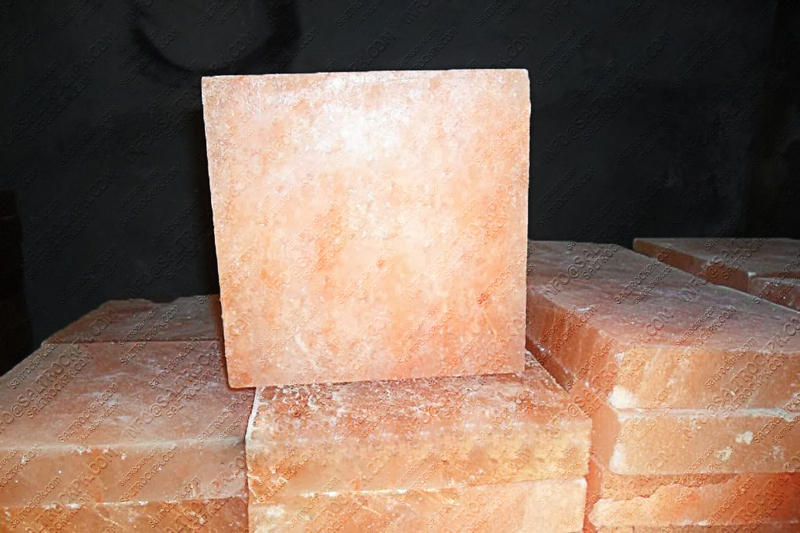 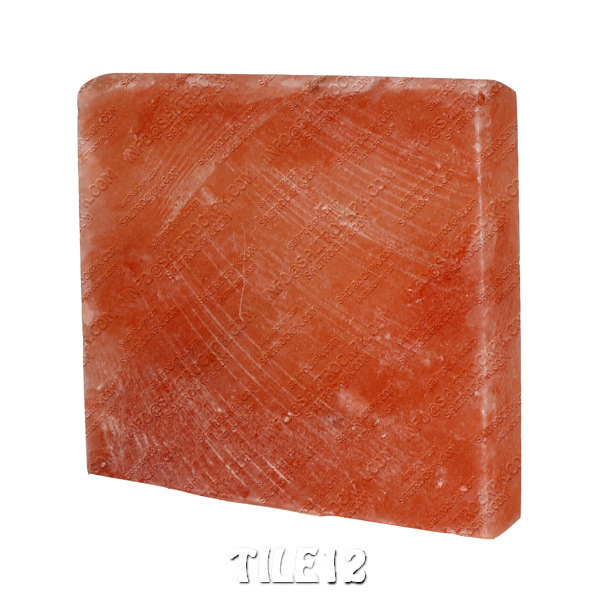 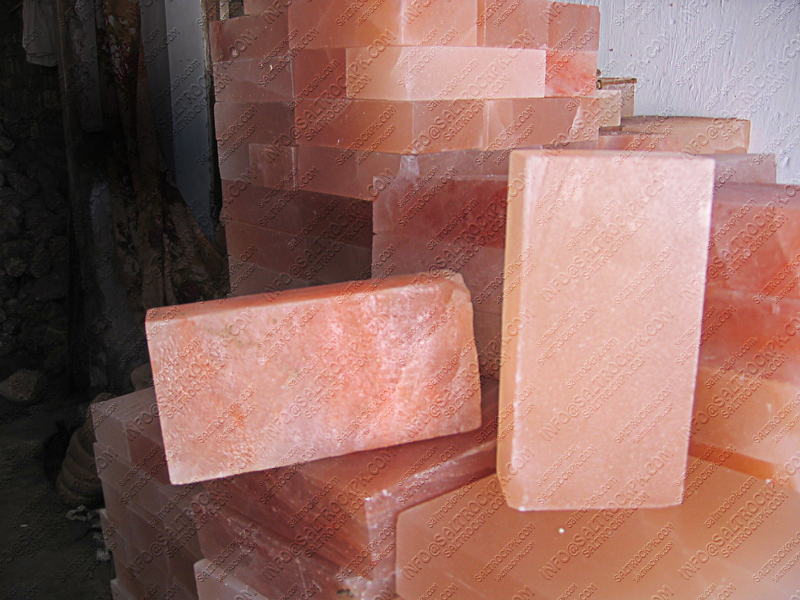 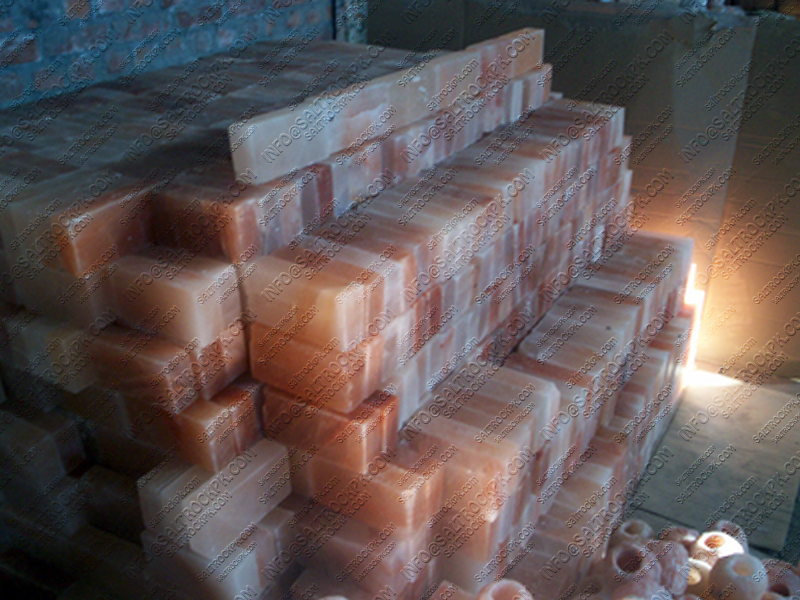 ROCK SALT TILES AND BRICKS can be used to build Salt Cave for Speleotherapy, spa, gyms and yoga rooms and to decorate receptions and fireplaces as well. 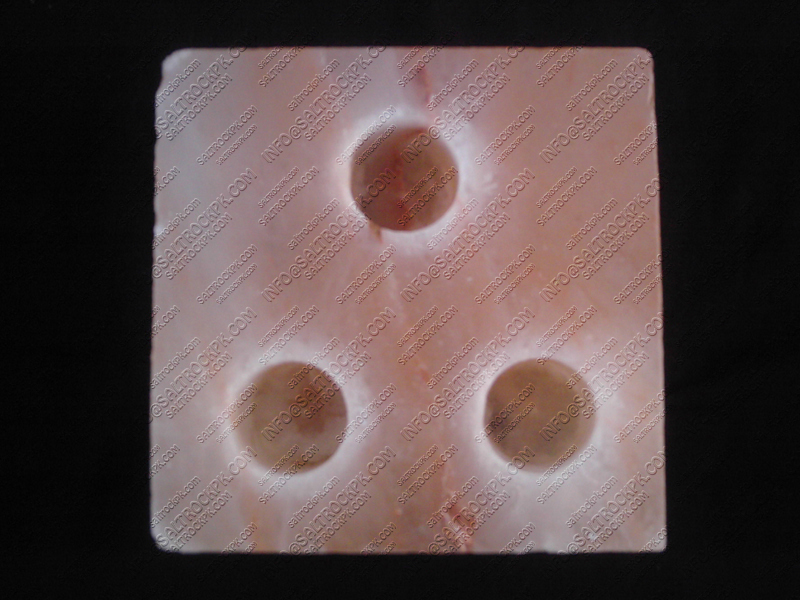 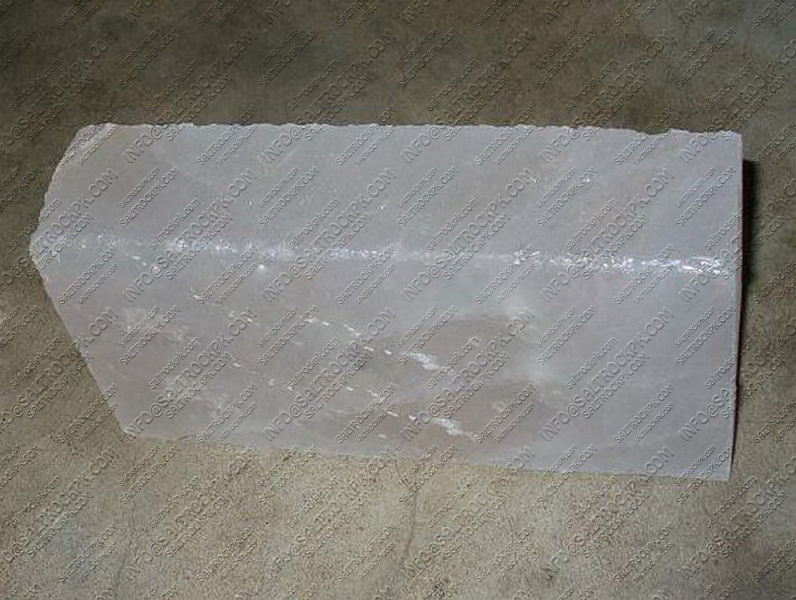 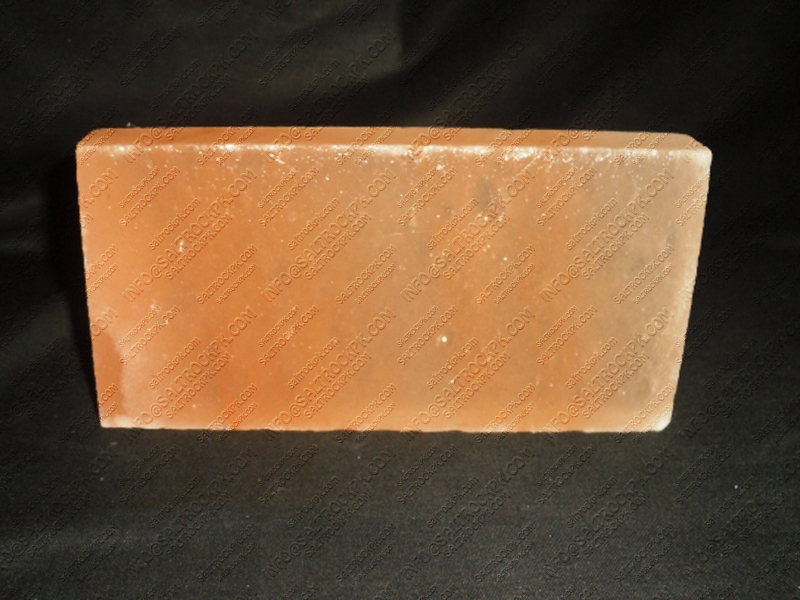 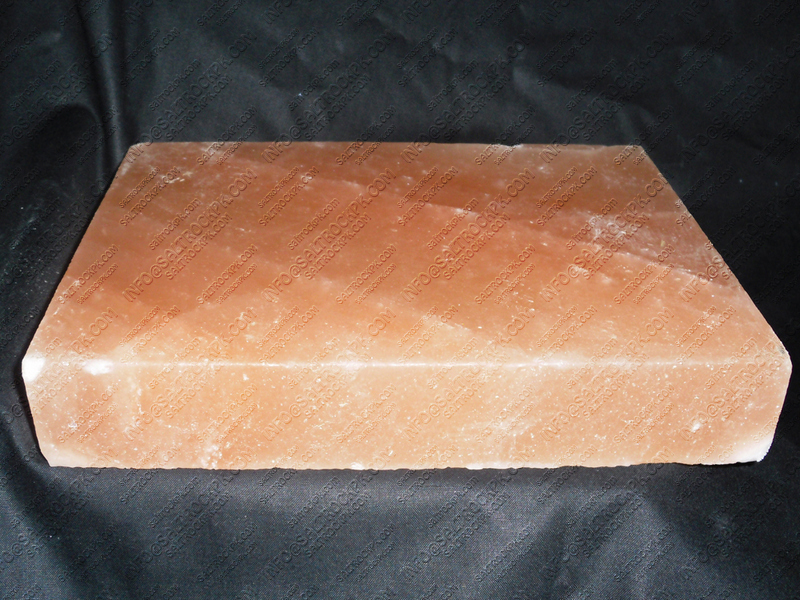 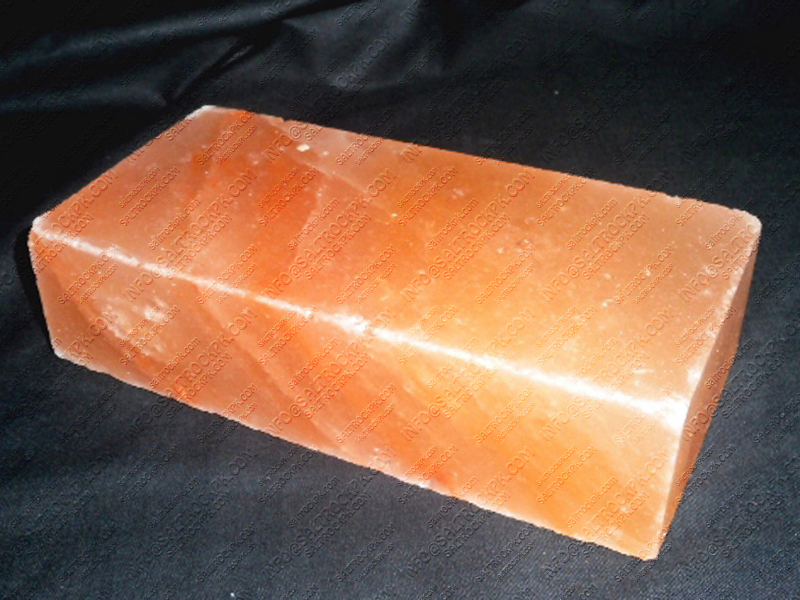 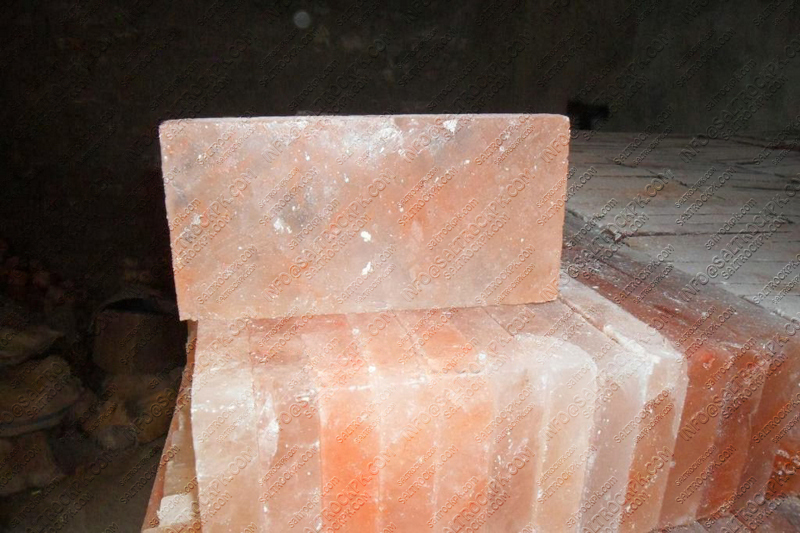 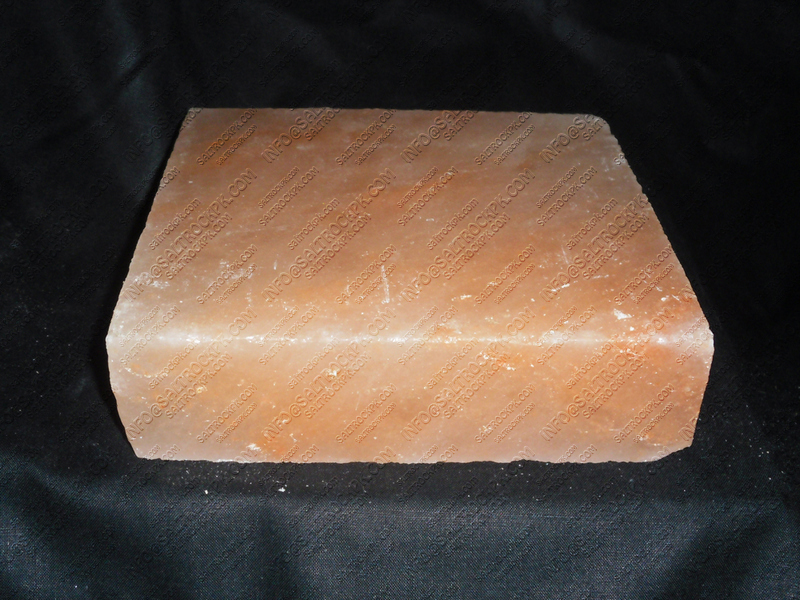 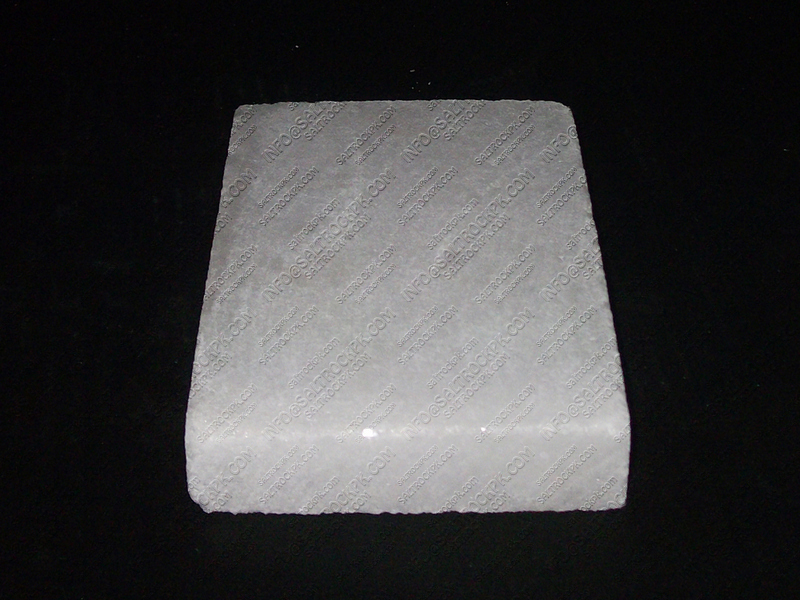 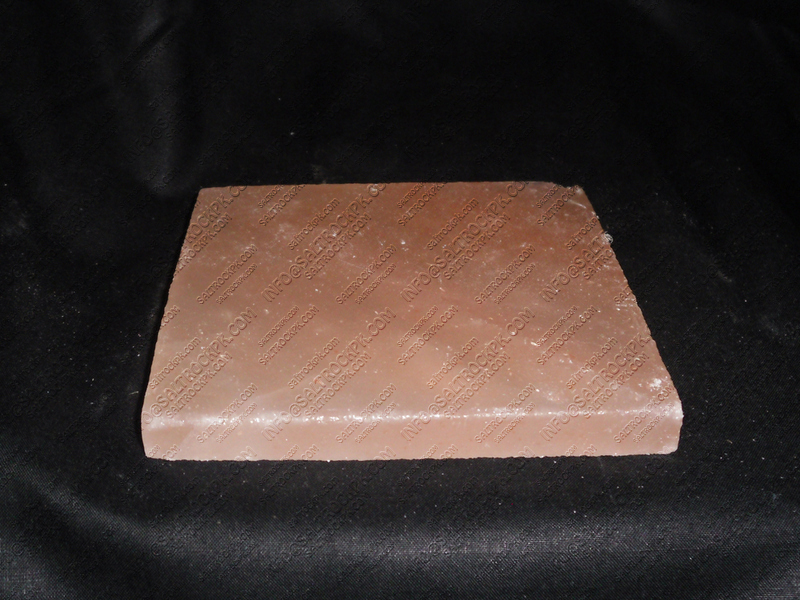 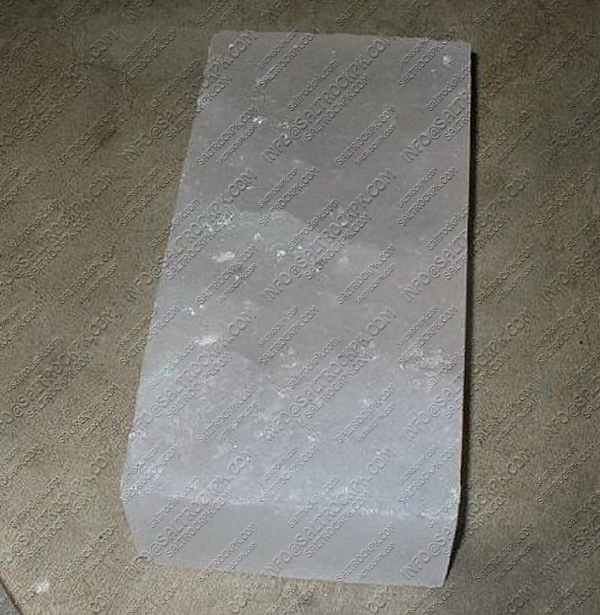 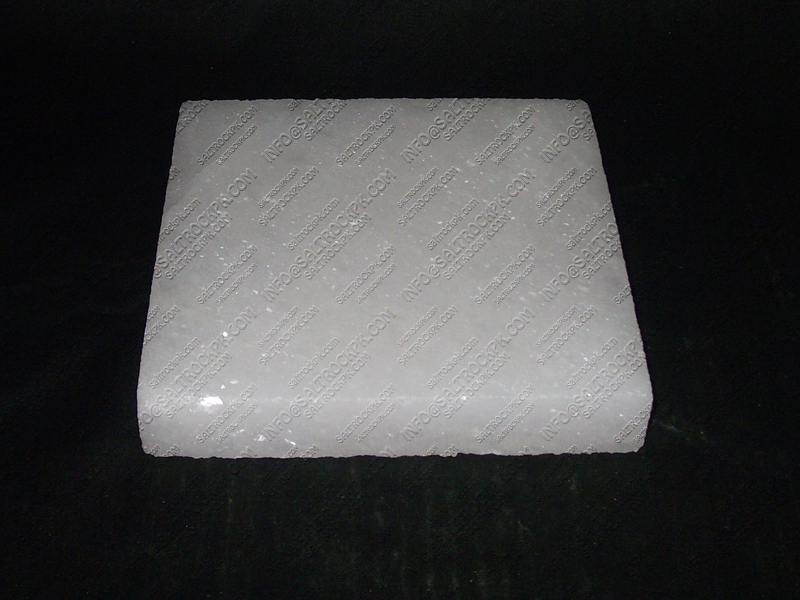 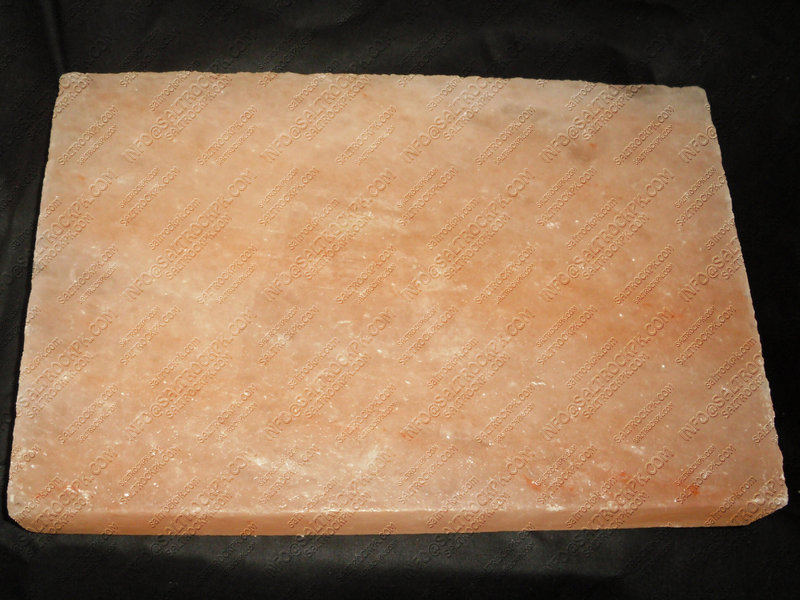 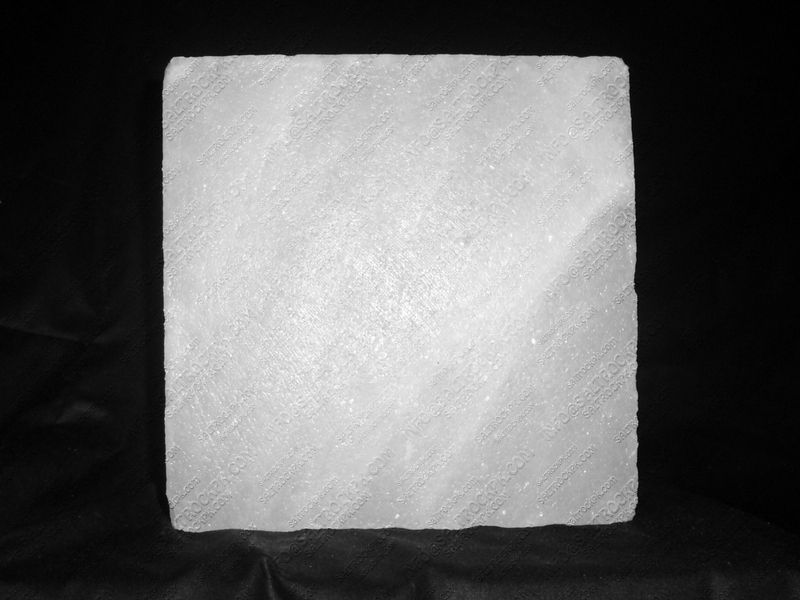 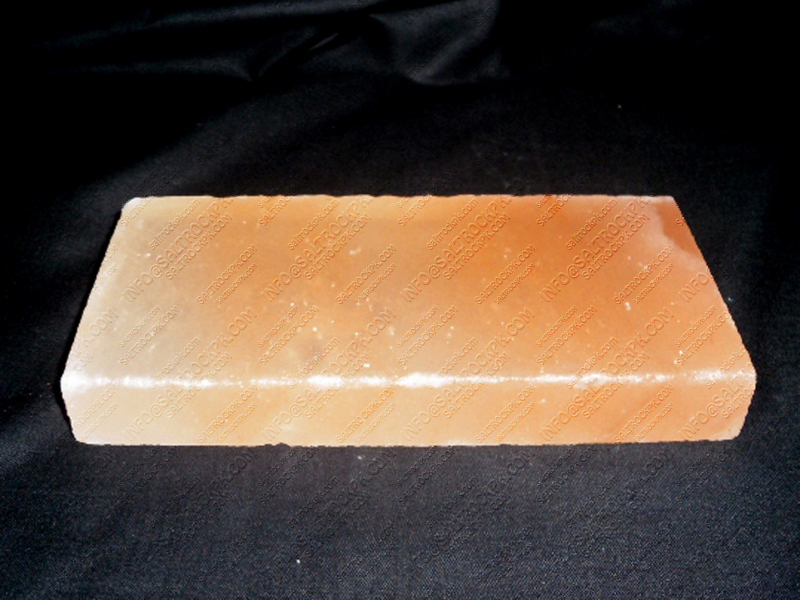 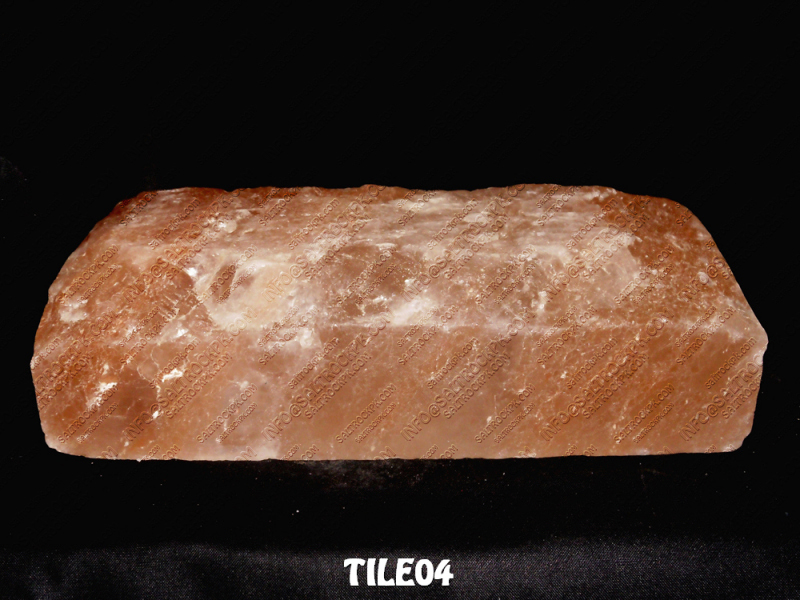 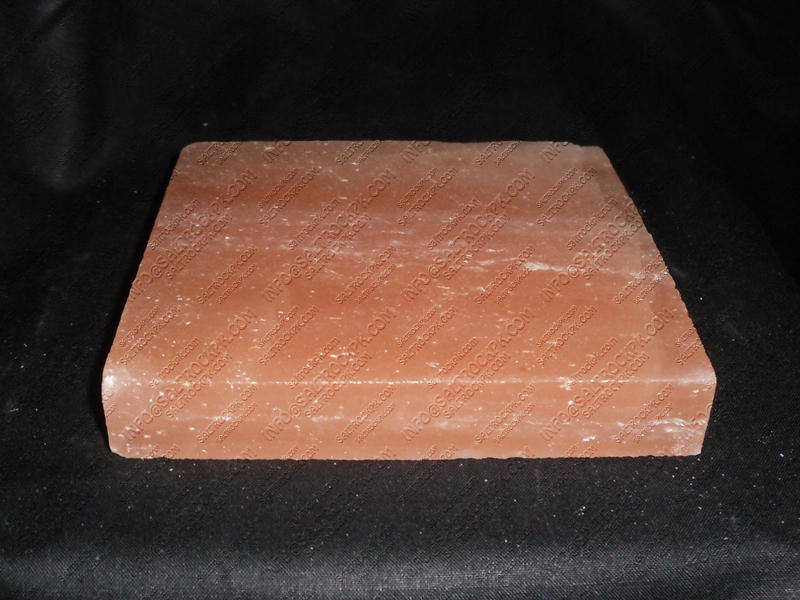 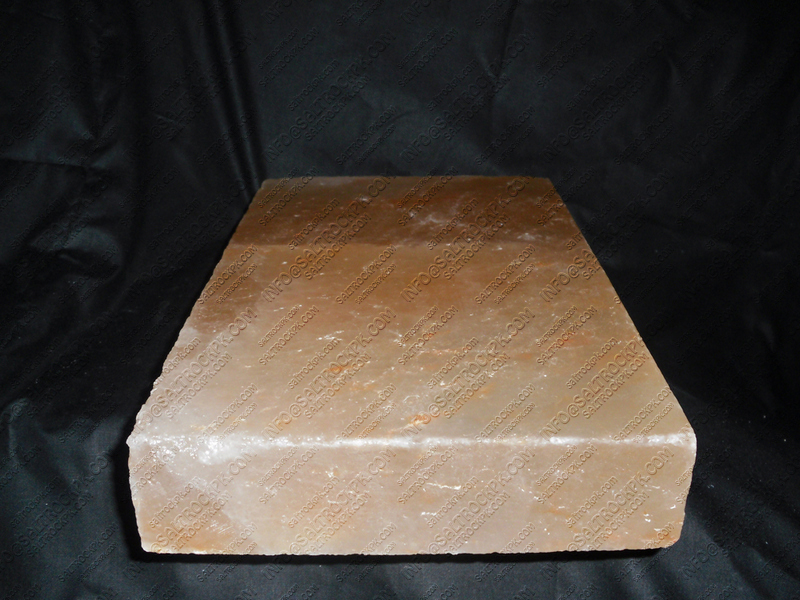 A salt brick may be placed in front of a wick, lamp or any other source of light. 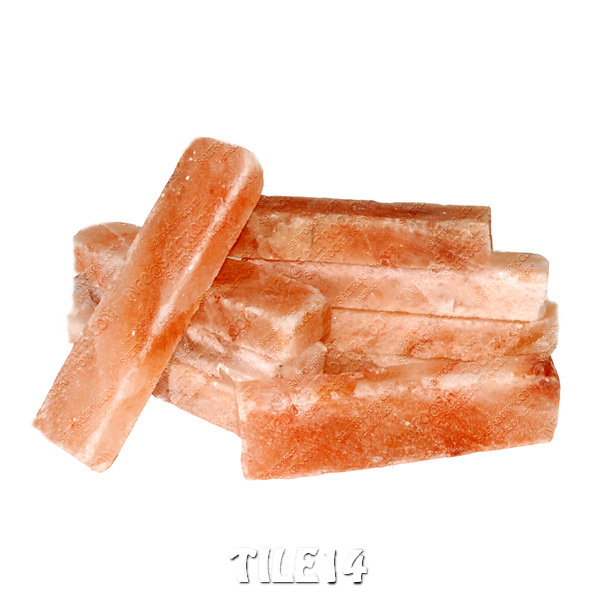 The salt becomes warm and irradiates a pleasant light thus providing ionizing and colour therapy effects at the same time. 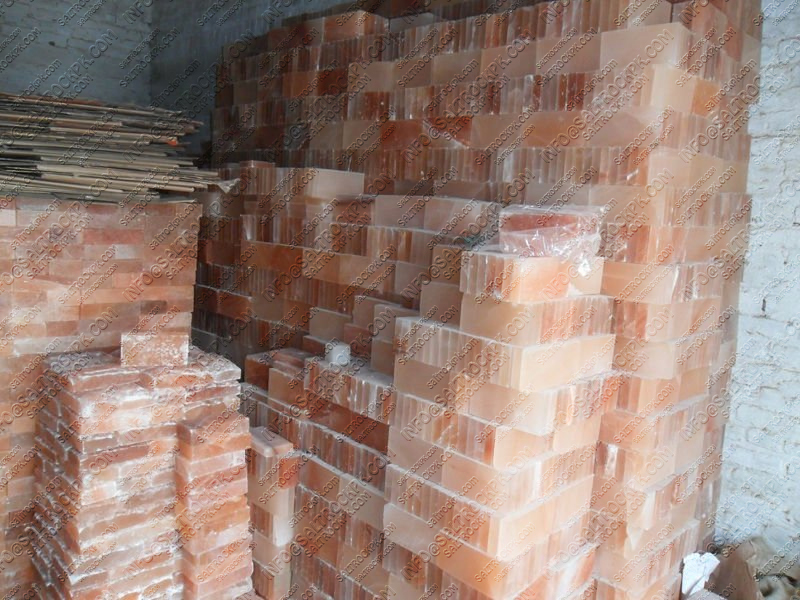 A brick may be placed on top of the radiator or heater or clay stove when the heating season begins. 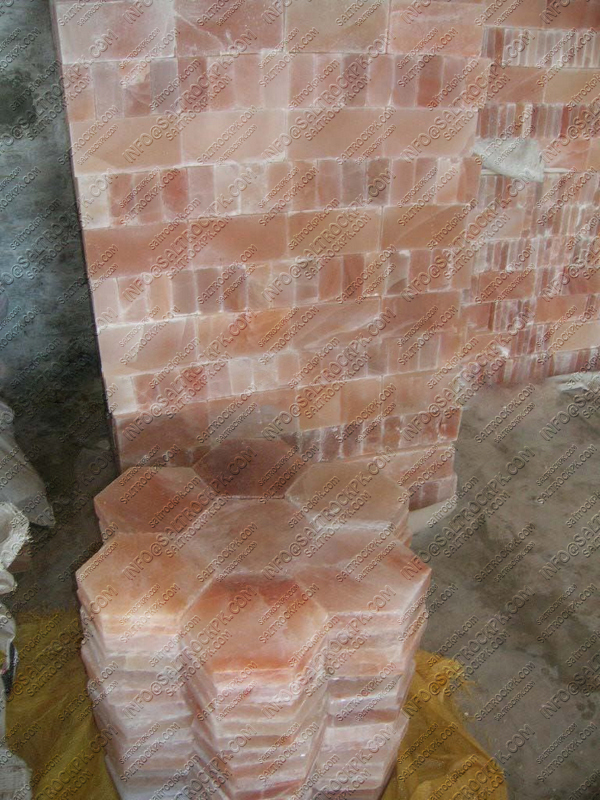 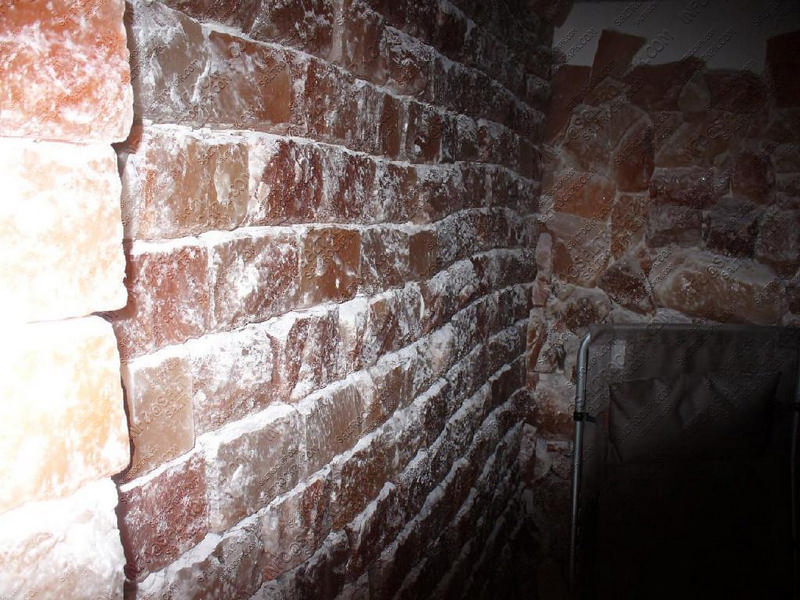 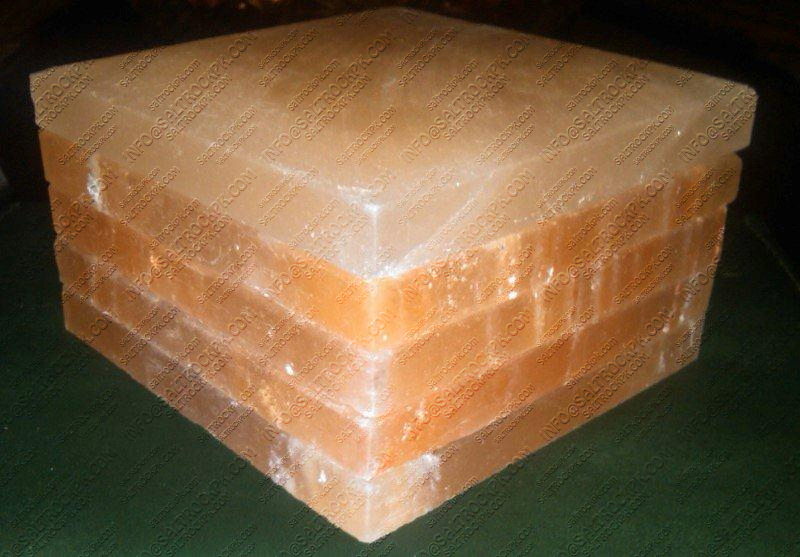 These Salt bricks may be used for construction purposes as well: building a wall in front of a radiator, covering stairs, floor tiling, covering certain wall surfaces, building room separation, or even a whole salt room or salt cave. 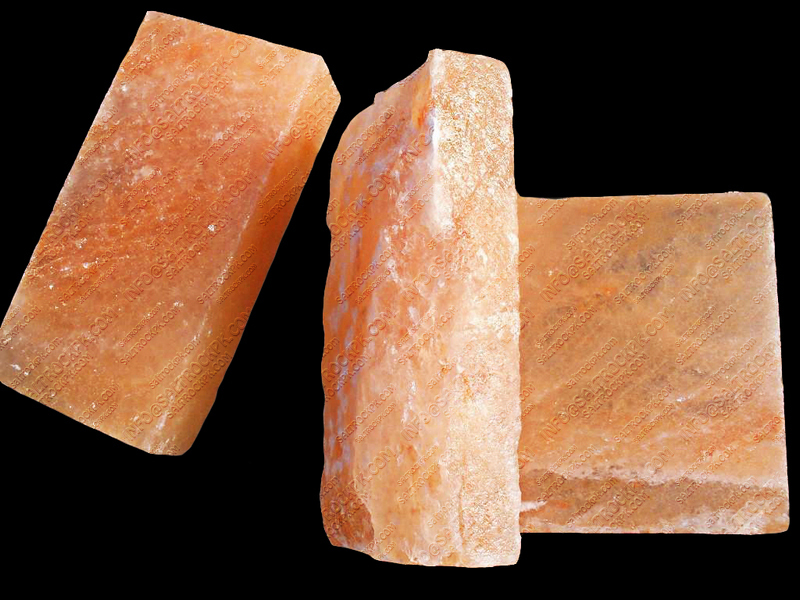 Speleotherapy means to be located in a room or area with a presence of Salt Crystal Rocks and to breathe the healthful ionized air. 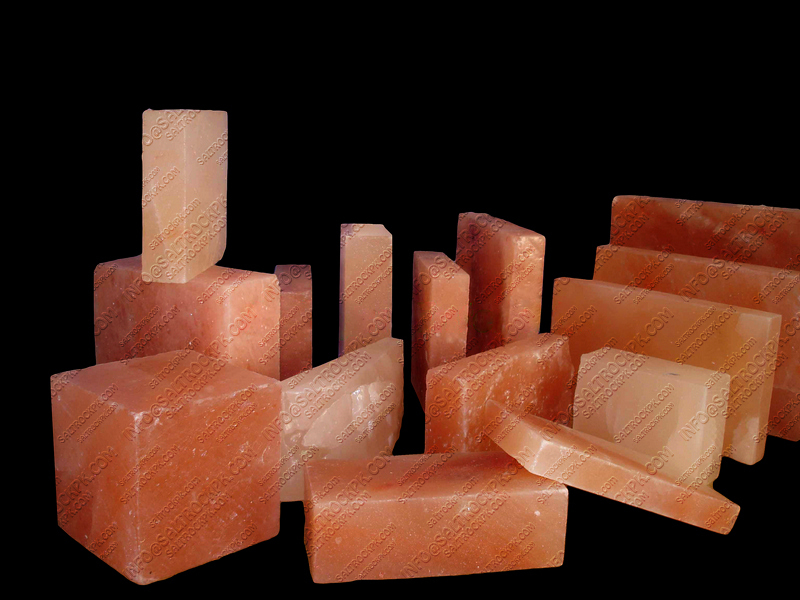 Speleotherapy is a natural health alternative treatment for asthma, respiratory conditions, immune system disorder and illnesses. 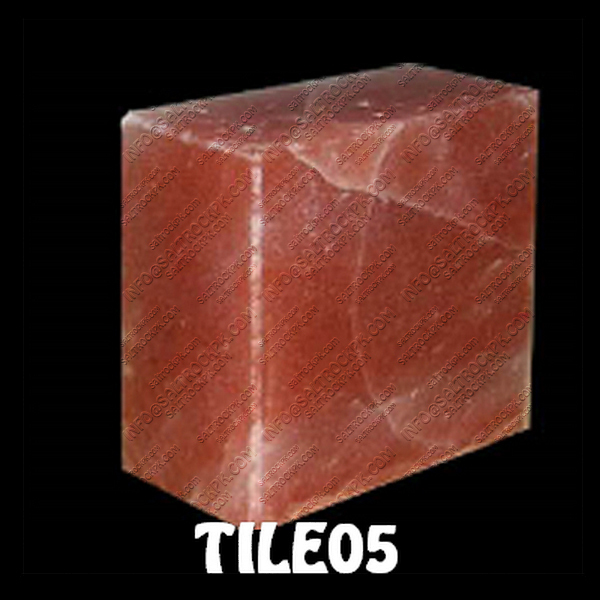 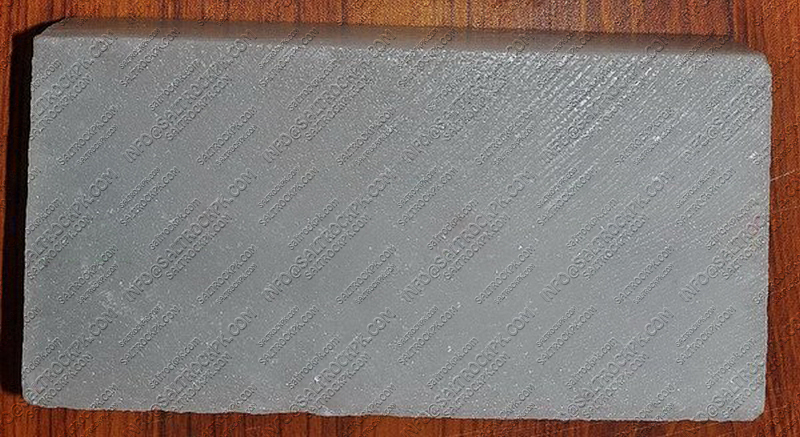 The mostly used tile for interior construction is 2”thick x 4” wide x 8” length. 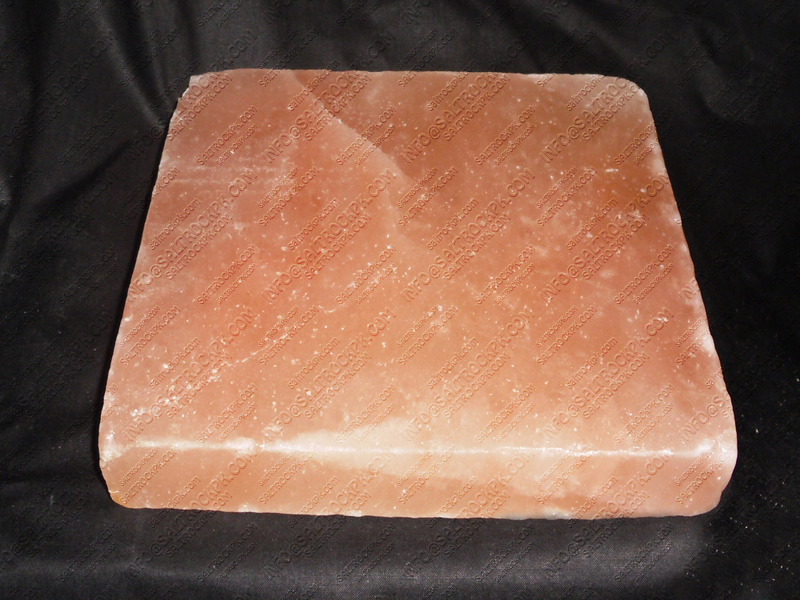 But any of your desired size can be possible. 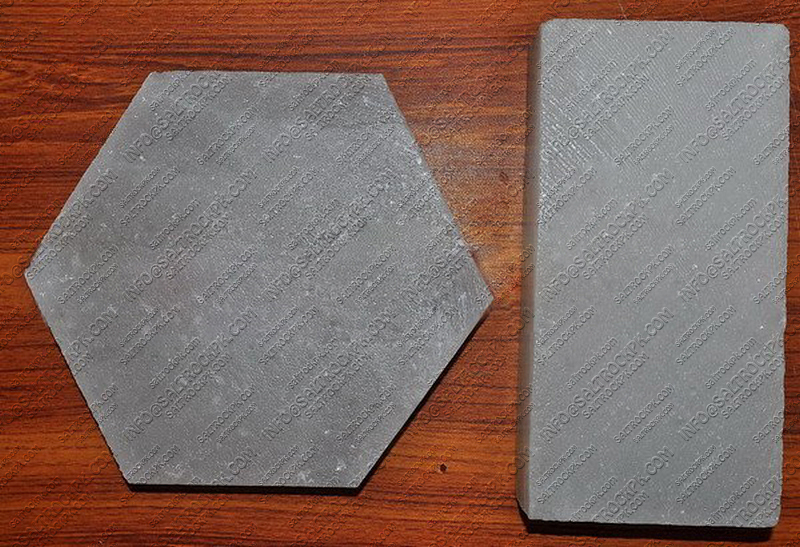 Further sizes are stated below, all sizes are given in inches. 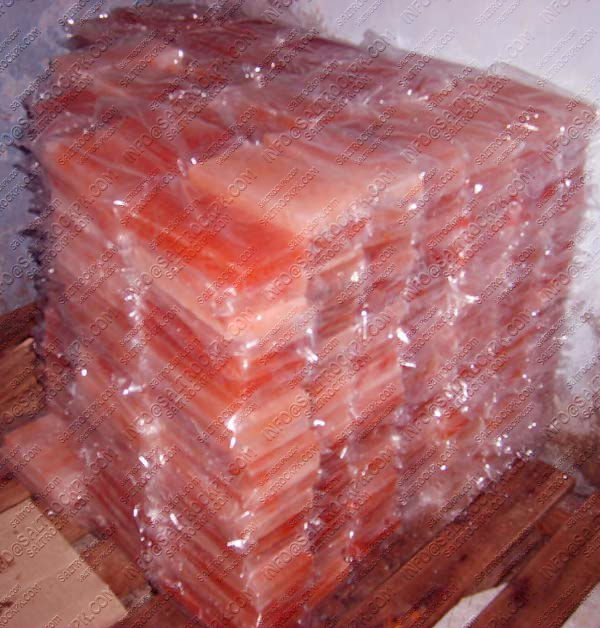 Each master carton is wrapped in pp bag and having pp strip binding. 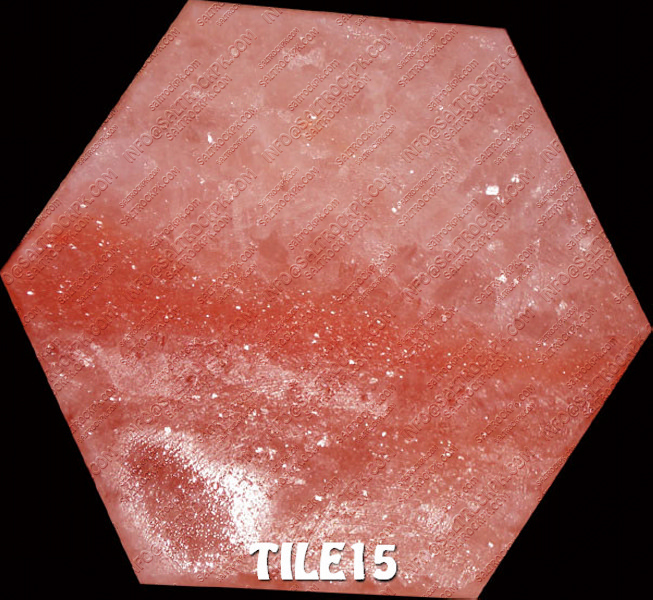 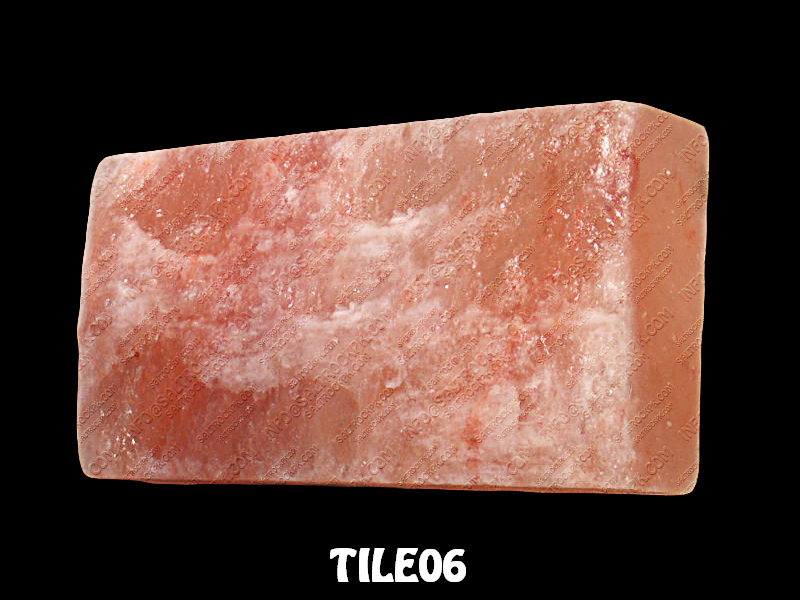 I am interest in tile #4 and tile #6 to build a salt wall, approximately 36sq ft. Can you givery a quote for this material? 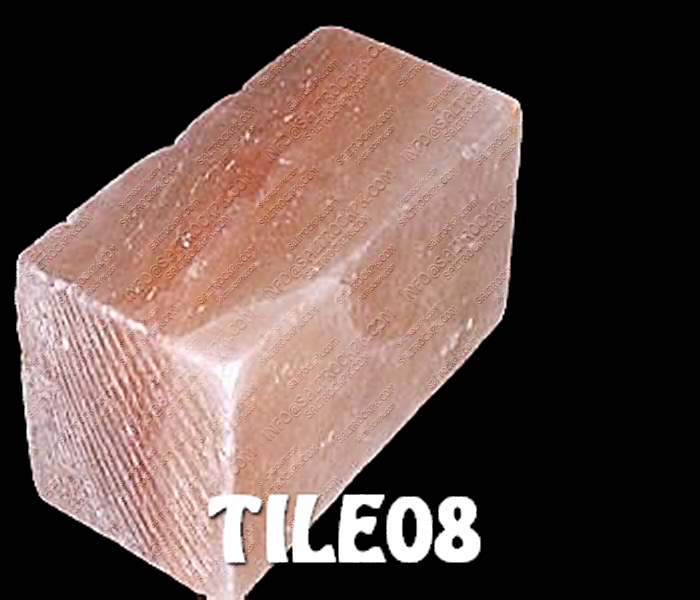 We are trader and manufacturers since 1985. 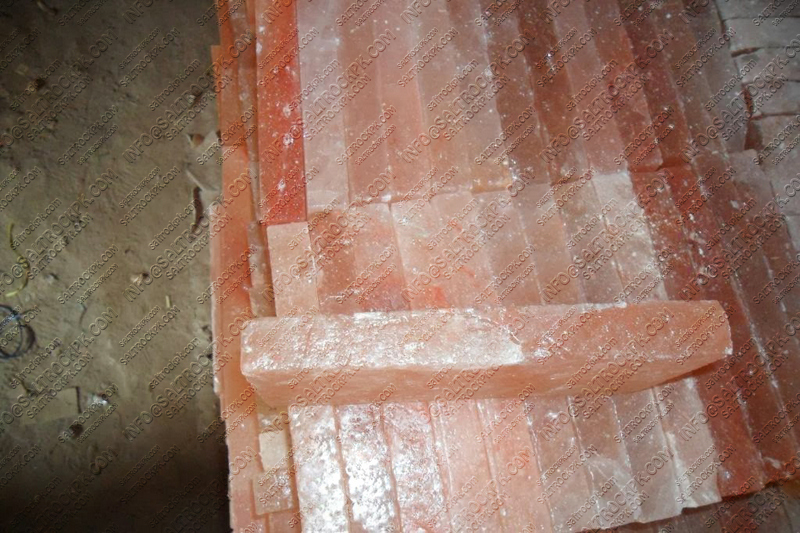 Our clients are local and international and now they need salt products which are given as below in bulks. 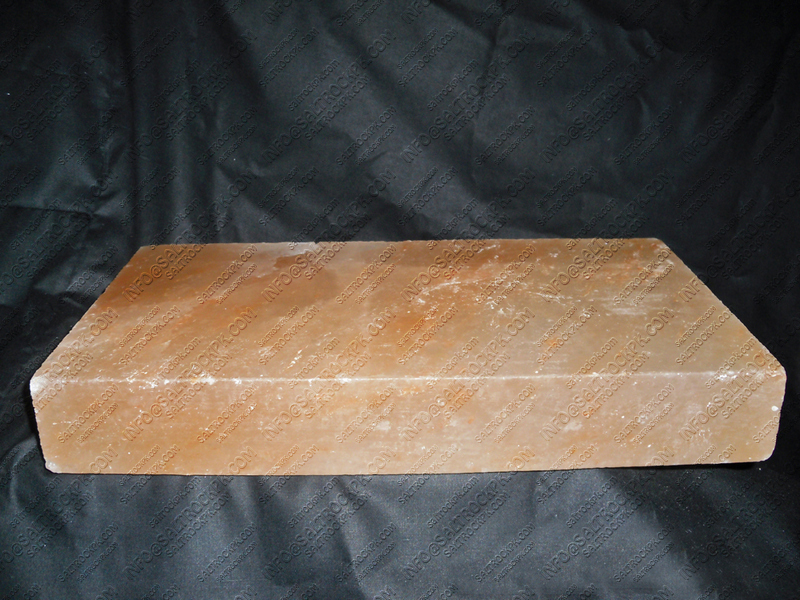 Please provide price and details. 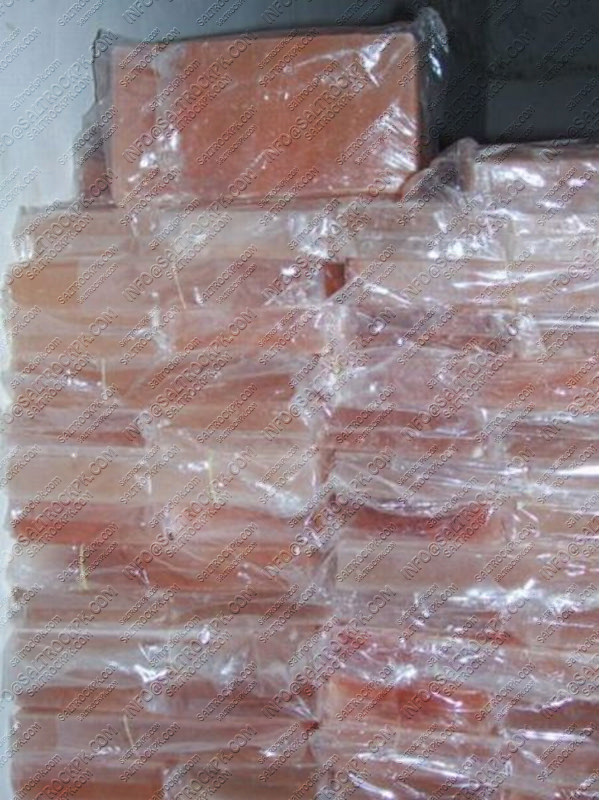 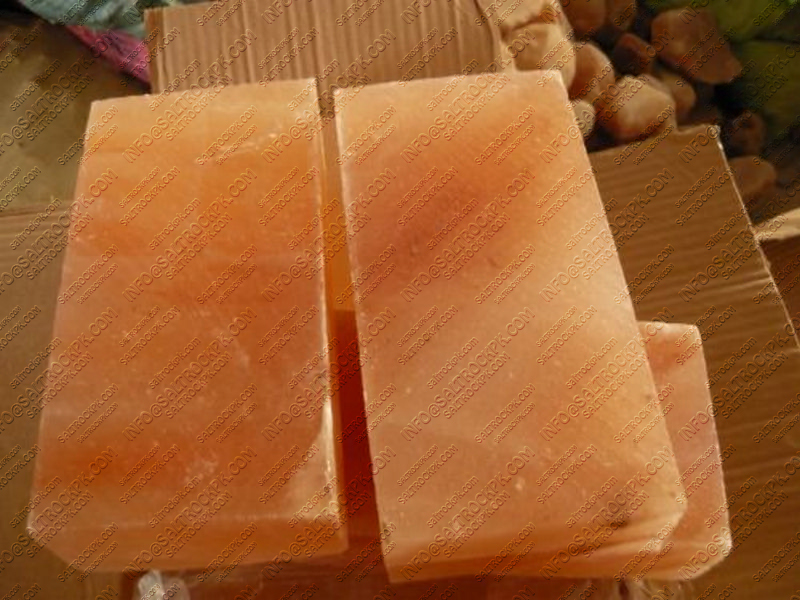 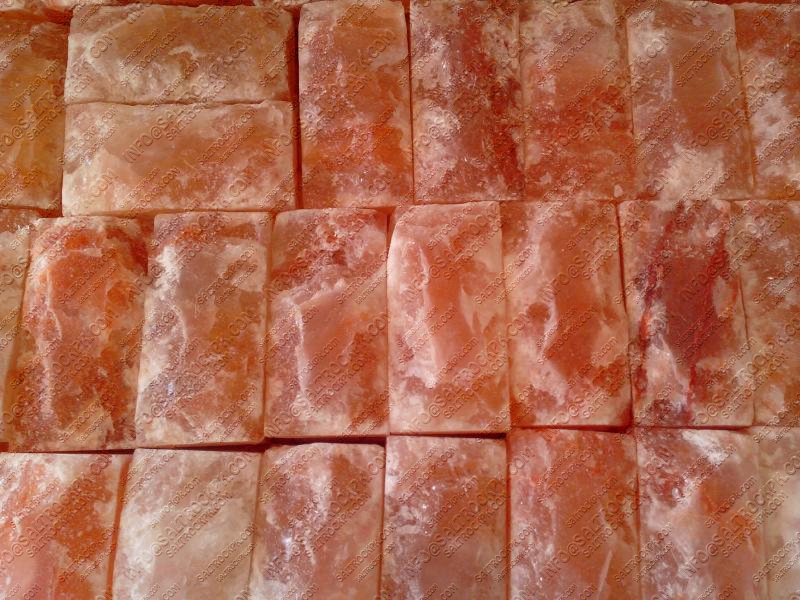 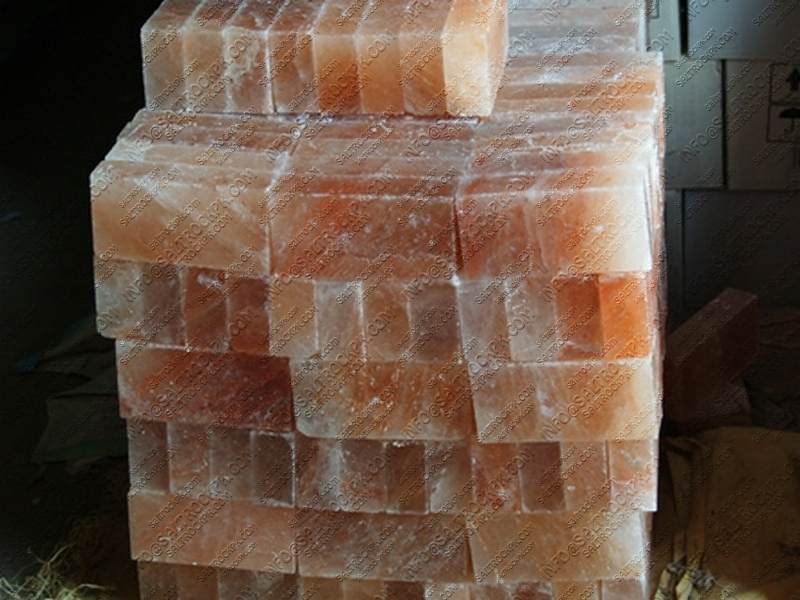 1)	Salt lamp 3-5kg 400 pieces. 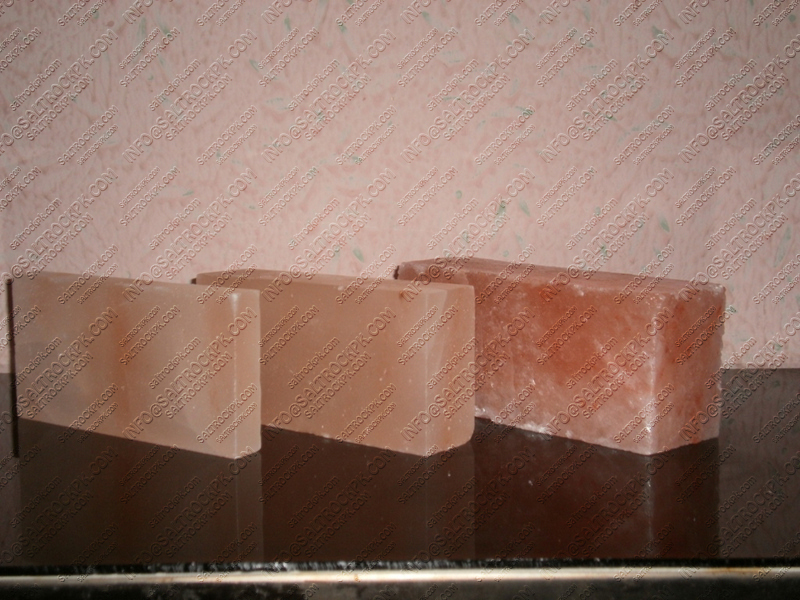 2)	Salt brick 20cm*10cm*2.5cm 3600 pieces. 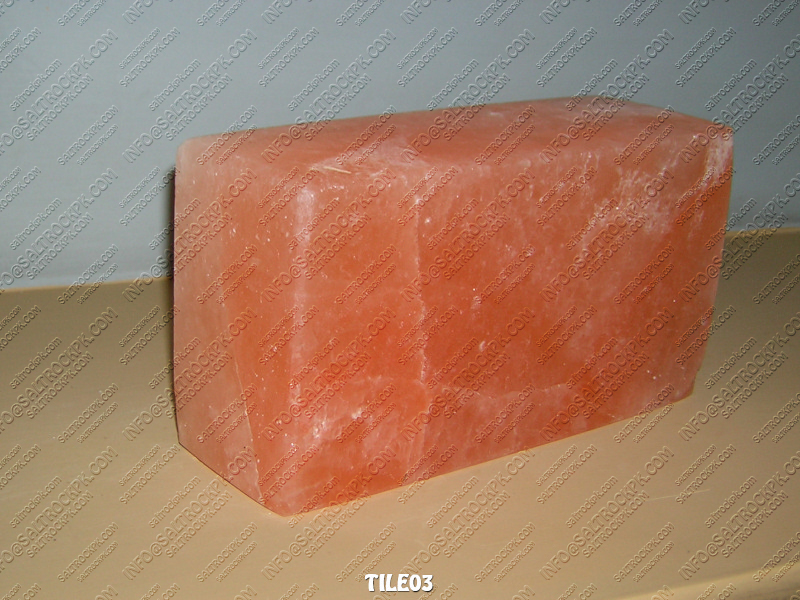 3)	Salt brick 20cm*10cm*2.0cm	13200 pieces. 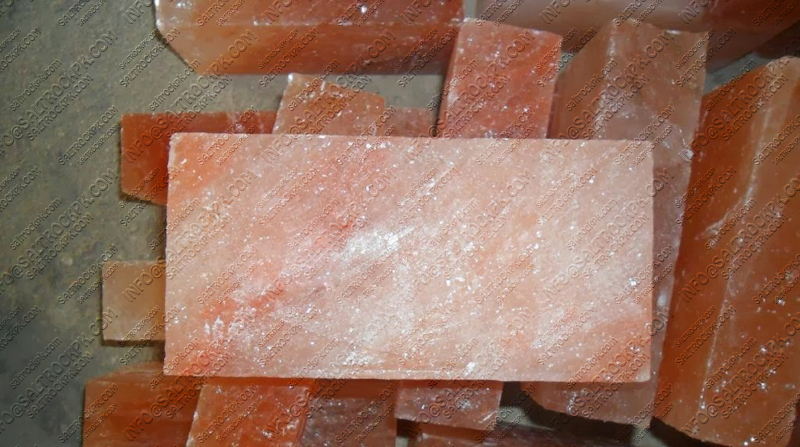 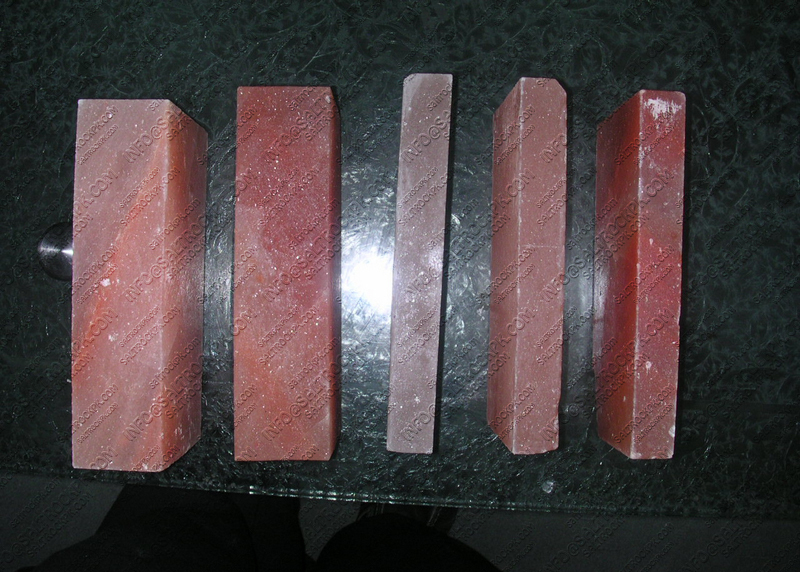 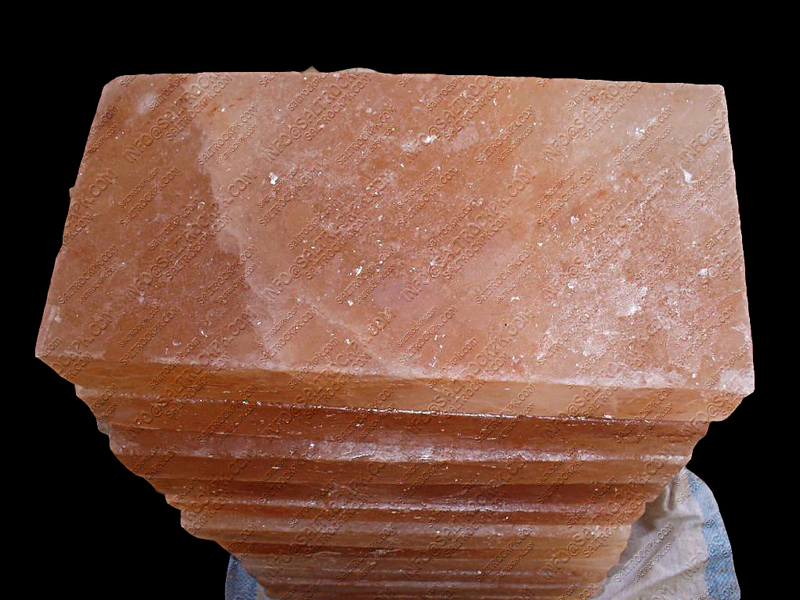 4)	Salt sand pink 3cm-5cm	5 ton. 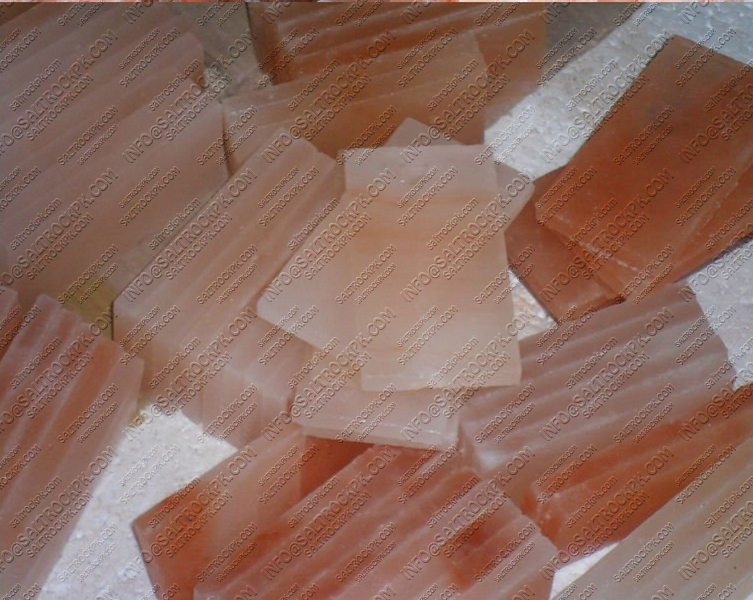 5)	Salt sand pink 1cm-2cm	3 ton. 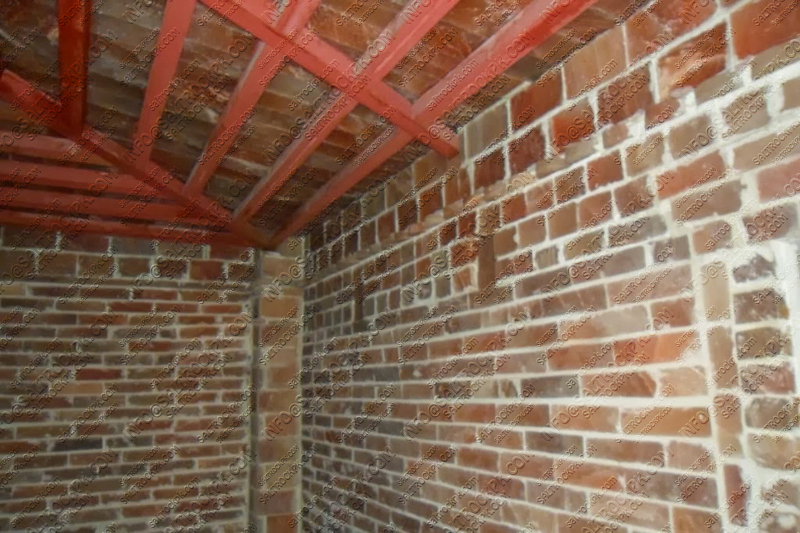 Hi… can you tell me how to glue or mortar these is place?